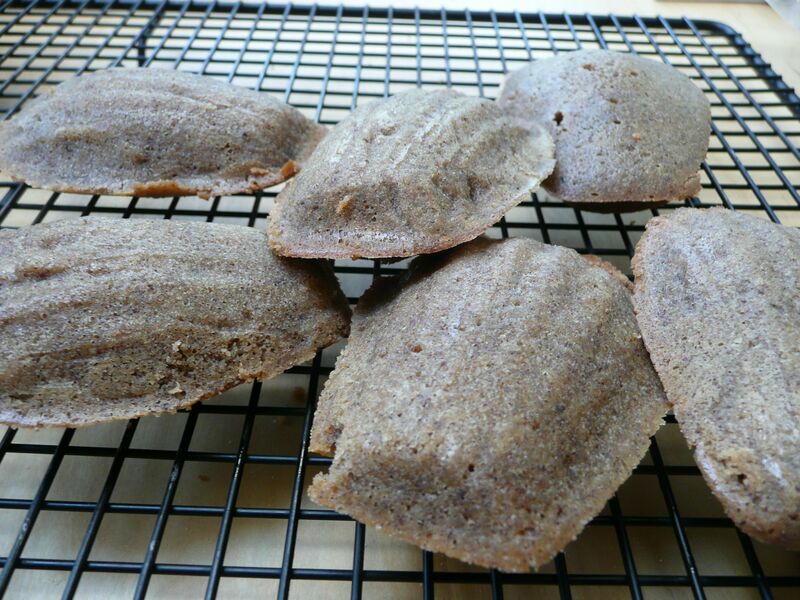 I’ve published a recipe for madeleines before, another gluten-free one using honey, almond meal and lavender. They were tasty, low-grain, low-sugar, and full of delicious lavender from Sequim. But the holy grail madeleine I was after kept evading me: the hazelnut madeleine. I buy hazelnut meal from Holmquist Hazelnuts (U-district farmers market or Pike Place), and it’s my favorite thing to bake with. It’s rich and almost chocolatey, fatty and tasty. But every time I tried to make madeleines out of it, they came out too dry. The hazelnut meal seems to be dryer than almond meal. Finally, for a local foods French cooking workshop I did at my house, I came up with this recipe. The proportions work beautifully. The secret: More eggs. Serve on their own, dip in cream (or cream mixed with honey/vanilla/rum/whatever you like), or dip in dark chocolate and allow to cool. You need a madeleine pan to make this recipe. Although you could also use the batter in a ramekin or something like that; it just wouldn’t be a madeleine. 1. Melt butter (microwave or stove top) and set aside while doing the next steps. 2. In a standing mixer, beat eggs on high until it starts getting thick and white, at least a minute. Slowly pour in the sweetener and let it beat at least another two minutes. Add the vanilla and almond extracts and let it beat another thirty seconds. Your mixture should be very thick and pale. 3. In a separate bowl, mix together the hazelnut meal, rice flour, and baking powder. 4. Take the mixer bowl out of the stand mixer, and gently pour in the flour mixture. With a rubber spatula, fold in the dry mixture to the egg mixture. Then, drizzle in the butter, and very gently fold it in with the rubber spatula until it’s completely incorporated. 5. This is important: refrigerate the mixture for at least thirty minutes. This changes the consistency of the batter: it starts getting firm and bubbly, the way a good mousse is. 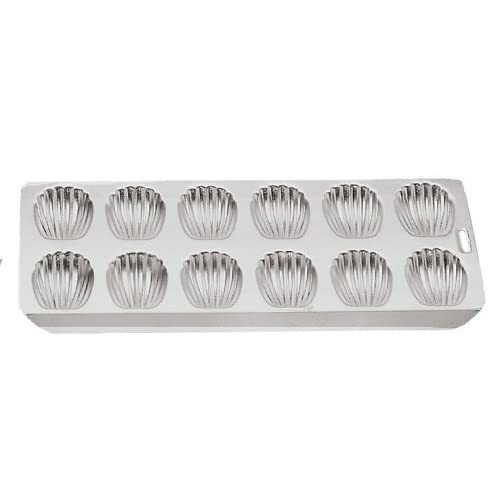 This will help the shape and consistency of your madeleines. 6. When you’re ready to bake, preheat the oven to 400 F (about 205 C). Butter your madeleine pan and sprinkle it lightly with rice flour. Take your batter from the fridge and stir up any separated parts from the bottom. Gently place spoonfuls of batter into the molds, just barely filing them. 7. Bake 8-10 minutes until they’re golden; watch them carefully. 8. Gently turn them out onto a cooling rack and let them cool only slightly before devouring them.